Chelsie: It is not just the Icecreamist book that is new and causing a stir! I would like to introduce you all to one of their newest products on the menu The Vice Lolly. 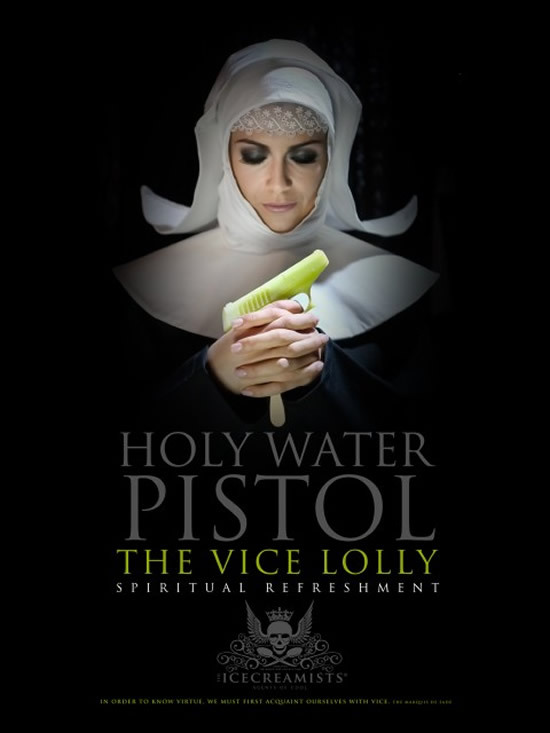 The Vice Lolly is a gun-shaped lolly made from Holy water from a sacred spring in Lourdres, France, with a shocking 80% alcohol absinthe and sugar content. I was lucky enough to try the new Vice Lolly at the Icecreamists book launch, and I can honestly say I have never experienced anything quite like it! 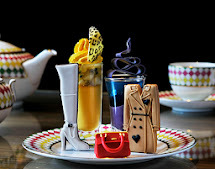 The novelty, the taste and the after effects make for an unforgettable experience! 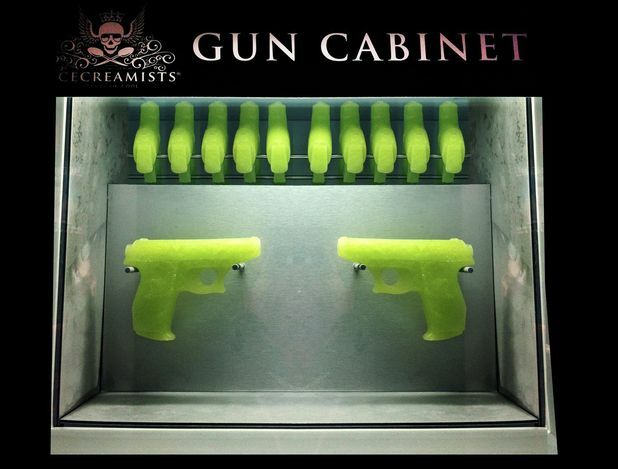 The Vice Lolly is a green gun-shaped mindblower! The gun is comprised of three main parts. The first Holy Water imported from the spring 'The Grotto of Massabielle' at Lourdes in France. The Grotto is one of the most visited places in the world for Catholic pilgrimages with roughly six million visitors each year. The next part of the gun is absinthe, an incredibly strong alcoholic drink banned in the United Kingdom in 19th century. The final ingredient in this conflicting combination is sugar, to sweeten your sacred experience!